After a lone game last week due to the cup matches, the CSL's top division grows to four encounters this weekend. One of the most anticipated outing is Cedar Stars Academy’s game versus Manhattan Kickers. The Stars will look to match Lansdowne Bhoys’ record of a 10-match winning streak in the modern era of the league and extend their record-breaking consecutive clean sheets to nine games. Relegation threatened sides Doxa SC and Zum Schneider F.C will battle each other for some crucial points in their hope to remain in D1 next season. 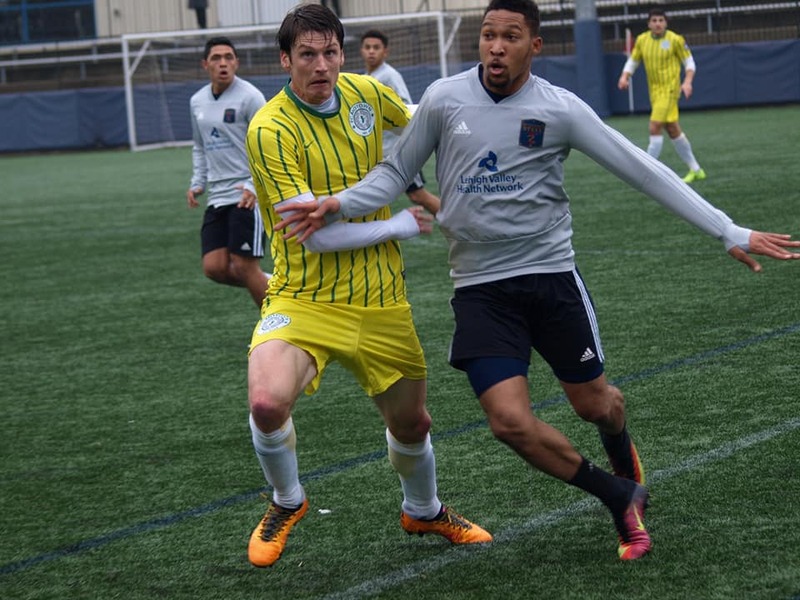 NY Pancyprian Freedoms will hope to bounce back from their first league-loss of the season with a win over NY Athletic Club while NY Shamrock SC will fight to move closer to the last playoff spot by defeating Central Park Rangers away from home. Cedar Stars Academy put up the most dominating win streak in the modern era of the league, outscoring their opponents 39-1 in nine consecutive victories. The club is now one match away from putting their incredible winning run in the books as a victory versus Manhattan Kickers on Sunday will match Lansdowne’s 2014 record of a 10-game win streak. “I think the record would be a testament to the quality of the team we have and also all the hard work we have done,” Cedar Stars center back Chris Riordan said. Cedar Stars Academy center back Chris Riordan [left, yellow] marking a Bethleem F.C player in a game with F.C Motown. Manhattan sits in last place and hasn’t won a game since Sept. 24th, 2017. However Riordan noted that he and his teammates won’t underestimate their opponents. CSA captain Christopher Katona will go into the game on a seven-game scoring run. Katona leads the league in scoring with 18 goals in 12 games. Cedar Stars will also go to Walter Calderon for goals. The 21-year-old scored a brace against the Freedoms last week. The Stars’ keeper Bryan Lopez is also a player to keep an eye on. Lopez is currently holding on to the best consecutive clean sheet streak in the modern era of the league, not having conceded a goal in eight outings. NY Shamrock SC will travel to Randall’s Island Field 70 to take on Central Park Rangers Whites. The Rocks sit six points below the last playoff spot under NY Greek American with five games left. The Irish club blew past Division 2 side Beyond F.C in their last match to clinch the semifinal of the John Kilby League Cup. Shamrocks winter signing Travis Blair will go into the encounter fresh off a four-goal display against Beyond F.C. Central Park on the other end fell to Lansdowne 2-0 in the Manning State Cup semifinals in their last game. However, in the league, CPR is on a two-math tying streak, drawing with sixth placed NY Athletic Club 1-1 the previous round and to last placed Manhattan Kickers 0-0 in Week 13. James Greco leads the club in scoring with three goals. Last time the two teams met, Shamrocks downed Central Park 5-2, inspired by a Kurt Cameron hat trick. 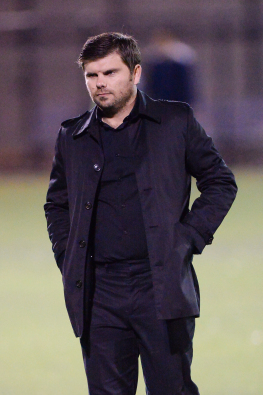 NY Pancyprian Freedoms lost for the first time in the CSL this season last weekend to league leaders Cedar Stars 3-0. The Cypriot’s club next game is against sixth placed team NY Athletic Club away from home at Travers Island on Sunday at noon. The Freedoms’ skipper Georgi Spanos is eager to bounce back from their loss to CSA with a win over NY Athletic. Last time the two teams faced each other, NY Pancyprians squeezed past NYAC 1-0, thanks to Daniel Bedoya. Unlike the Freedoms, NY Athletic won their last game, defeating NY Shamrock’s reserve team 5-1 in the League Cup. Center forward Carlo Zanetti is one of NYAC’s player to watch in the upcoming encounter. Zanetti scored a brace in NY Athletic's last game and leads the club in scoring in all competitions alongside Jason Lampkin with six goals. Ninth placed Doxa SC will take on eighth placed Zum Schneider F.C on Sunday night. Zum is above Doxa outside of the dropzone by just one point—Doxa has a game in hand. The Greek club hasn’t lost a league-game in the second half of the season yet, winning one match and tying two. “Hopefully we can keep this unbeaten streak alive,” Doxa midfielder Michael Corbi said. He previously stated: “We have a great team with a lot of talent so we are going to do all that we can to keep Doxa in Division 1. The manager [Paul Grafas] is always keeping us motivated and we fight together as a team every game." 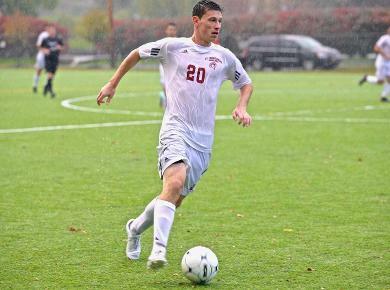 Doxa SC midfielder Michael Corbi in his time with St. Thomas Aquinas College. As for Zum Schneider, they lost their last game to last year champions NY Greek American 2-1. However the club notably drew with amateur champions Lansdowne 0-0 two rounds ago. Center back Willya Mekolo leads Zum in scoring in the league with three goals. The last three times Zum and Doxa met in the league the match ended in a draw.